A tangle of blackberry vines surrounding our campsite in Sunset Bay, Oregon, inspired these breakfast treats. 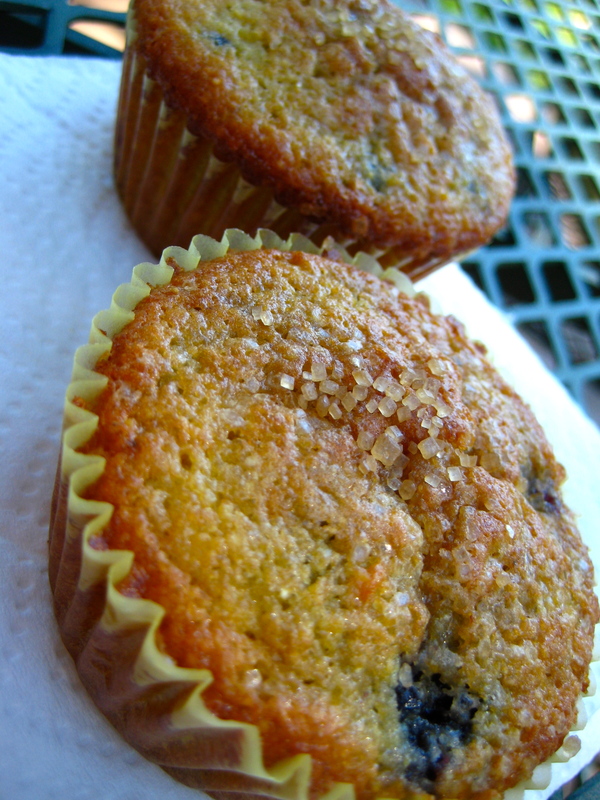 Tangy orange zest and juicy blackberries are paired with hearty cornmeal in a moist, crumbly muffin. Preheat oven to 375° and line twelve muffin cups with liners. Sift together flour and baking powder and whisk in cornmeal, sugar, salt and orange zest. Whisk together melted butter, milk, orange juice and eggs. Add wet ingredients to flour mixture and stir just until combined. Gently fold in blackberries. Divide batter evenly among muffin cups. Bake for about 15 minutes, or until tops are golden and a tester comes out clean. This entry was posted in Food & Farmers, Recipes and tagged blackberries, foraging, meals, recipes by Propane Kitchen. Bookmark the permalink. I made the muffins this morning and they’re wonderful. Thank you for the recipe. The blackberries at the store looked pretty sad so I used blueberries instead and they worked, too. Took half the batch over to some friends in town so that’s 3 people in Virginia who appreciated the muffins!